This chili is definitely a comfort food along with crusty bread. 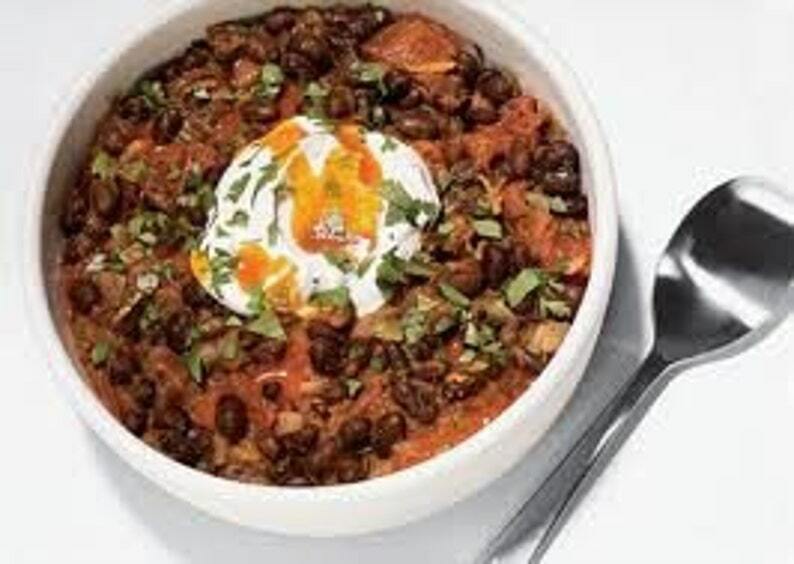 *Black beans, onion flakes, chili powder, cumin, oregano & bay leaf. Preheat slow cooker and add all ingredients except for water, cover. (We want all of the ingredients hot to speed the cooking process) Next, boil water then add to other ingredients, stir & cover immediately. Stir well and cook on high 4-5 hours. Serve with grated cheese, sour cream, chopped parsley, onion or salsa. **Due to the demand for slow cooker recipes, I have converted my dry mixes from the previous stove top directions. Stove top directions will be included with each item under the new slow cooking method.